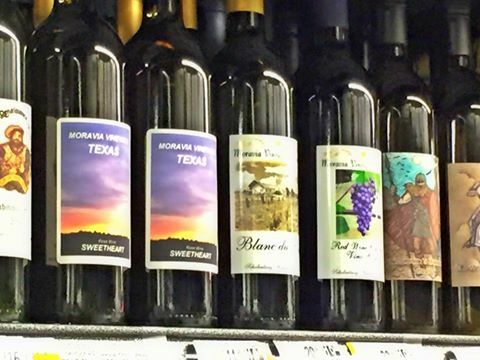 Moravia Vineyard & Winery - SPEC'S Moravia Vinery wines available in Spec’s Owned and operated by the same Houston family since 1962, Spec's is a true destination shopping experience. Today Spec’s has over 170 locations all over the great state of Texas. Spec's offer the best selection of wines, spirits, beers, liqueurs, cigars and in larger stores, fine gourmet foods. Spec's has won numerous awards over the years in many fields of business and for community involvement. You can find our wine in selected store in Victoria, Katy, Richmond, Fulshear and in the Downtown Houston area at Smith, Voss and Bissonet and in the Westchase-Westheimer area at Kirkwood and Old Farm. Now in several stores in the Greater Austin Area. Owned and operated by the same Houston family since 1962, Spec's is a true destination shopping experience. Today Spec’s has over 170 locations all over the great state of Texas. Spec's offer the best selection of wines, spirits, beers, liqueurs, cigars and in larger stores, fine gourmet foods. Spec's has won numerous awards over the years in many fields of business and for community involvement. You can find our wine in selected store in Victoria, Katy, Richmond, Fulshear and in the Downtown Houston area at Smith, Voss and Bissonet and in the Westchase-Westheimer area at Kirkwood and Old Farm. Now in several stores in the Greater Austin Area.